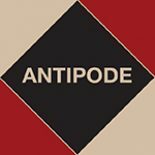 Published earlier this year in Antipode 45(3), Bradley Wilson and Joe Curnow’s ‘Solidarity™: Student Activism, Affective Labor, and the Fair Trade Campaign in the United States‘ examines ethical labelling campaigns as a central means for diffusing and negotiating conflicts between social movements and market actors. Focusing on Fair Trade, a pioneering ethical label and, by many accounts, a success, Bradley and Joe look at how United Students for Fair Trade (USFT) activists worked for almost a decade to build the reputation of the label before withdrawing their support (and urging ethical consumers to do the same). Their paper is an urgent reflection on USFT’s trajectory from ‘guerrilla marketing’ to boycotting products. While USFT’s actions may appear shortsighted and contradictory, they argue, the decision to withdraw support from the label has roots in a long struggle for control of Fair Trade. They argue that USFT’s actions signal a new stage in consumer action, as activists lose faith in the legitimacy of ethical labels and instead target the agencies that own the ‘ethical brandscape’. You can see Bradley and Joe talking about their work below. Reblogged this on Oren Stark. This entry was posted on 25 November 2013 by Antipode Editorial Office in Video Abstracts and tagged affective labor, boycott, brandscape, buycott, ethical consumption, ethical labeling, fair trade, guerrilla marketing, social movements, solidarity, student activism, United Students for Fair Trade, USFT.